Berlin, 25. 3. 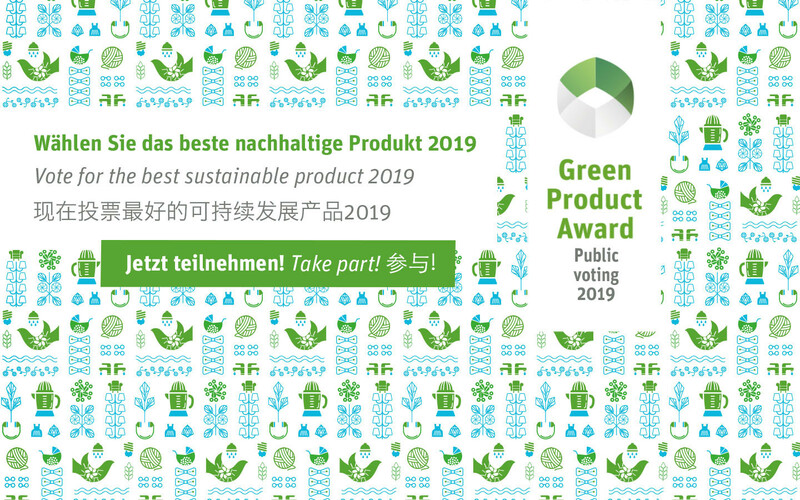 2019 More than 500 participants* from 20 countries applied for the Green Product and Green Concept Award 2019. The best green, innovative entries made it into the preselection, the Green Selection. The jury has already determined its favourites. The 125,000 visitors to the IHM in Munich also chose their favourites from the 130 exhibits on our stand. But now you can decide and choose the winner of the Green Product Audience Award. You can vote for several submissions, but you can only vote once for each submission. In order to avoid fraud attempts, a short registration is necessary. Have fun diving in and voting!